Hello coconut mama. I’m so glad I ran across your website while googling homemade sunscreen. My question is, when you say in the recipe, 1/4 cup prepared coconut water kefir, this can be taken from a store bought one, right? And then, I can use 1/4 cup from the batch I make to start my next one. Is this correct? Thank you. Hello, I’ve tried to make this recipe twice but failed on both attempts. I end up with the coconut solids floating on top of the liquid instead of the nice creamy yoghurt consistency shown in your webpage photo. I use Biona organic coconut milk and kefired water that I’ve made by fermenting water kefir grains in sugared water using the ratios; 1litre filtered water, 4tblspn sugar and 4tblspn water kefir grains. Could you please tell me where I’m going wrong? Thanks for the great recipe! My family is dairy free, both my kids are allergic to milk. I was wondering, after I add the coconut milk to the finished water kefir, do I let it ferment again at room temperature with a breatheable lid or do the second ferment at room temperature in a sealed bottle like when I do a second ferment with fruit juice to make a water kefir “soda”? And will this get carbonated like water kefir “soda”? Thank you! 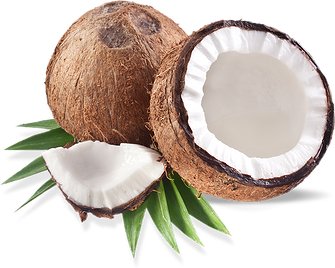 Hi, I made this recipe using fresh coconut flesh that I blended up myself with the coconut water. I mixed this with a little rapadura sugar and kefir. I let it sit over night in a glass bowl with a cloth over it and in the morning discovered a lot of it had bubbled up and spilled out of the bowl. What do you think I did wrong? Could it be the sugar content too high because of the coconut water blended in, or too much kefir added? how do you make subsequent batches without buying more kefir? or do you need to keep buying more water kefir to make the coconut kefir? I’ve been told the process is similar to making yogurt. so, do you save some of the coconut kefir to create a new batch? Hi….I’ve been following your site for over a year now and have tried many of your recipes. All have been great! I had previously thought that you needed kefir grains to make kefir. It would be great to learn otherwise! Kefir grains are the best for making milk kefir and water kefir, but not necessary for making coconut kefir. You can use kefir from the previous batch and you can buy powdered kefir starter to make kefir. I have some goat milk kefir in the frig. Can I use that instead to the coconut milk for fermentation? Water kefir and coconut water kefir is sold at many health food stores. I just read your coconut kefir recipe and so look forward to trying it. 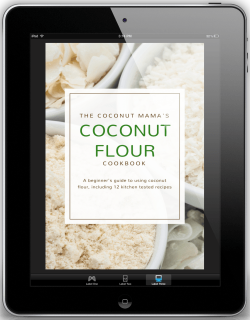 I have been thinking about making my own coconut kefir for years, I also have Donna Gates brilliant book and use Natural Value coconut milk for all your listed reasons. The primary reason I hadn’t tried it was having no local source of young coconut milk/water so, thank you SO much for pointing out an easy alternative. I am very interested in the coconut kefir. How much should be consumed each day to get the most health benefits? Thank you so much for your recipes, I’ve never been much of a baker but I’m sure gonna try because I know theses recipes are a lot more healthy and look delicious! Thank you so much! Thanks for stoping by and leaving a comment, Sharyn! Can I use milk kefir grains to make coconut kefir. hi. Can this be made with kefir grains, rather than with kefir as a starter? My attempts to make this with kefir grains failed. That doesn’t mean you can’t do it! I only have water kefir grains, not milk kefir grains. That may be the problem.